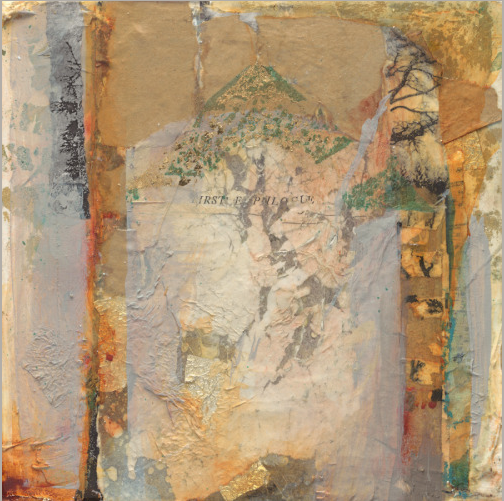 An old page of War and Peace, images of trees, brown paper, foil and plaster, rich golds, green and a glaze of grey comprise this mixed media painting on board. Visit http://www.joanfullerton.com; to view more of my work. Visit http://www.joanfullertonworkshops.com; to view my upcoming workshops.